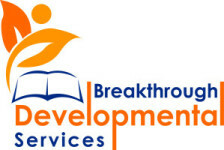 Breakthrough Developmental Services (BDS), a rapidly growing behavior therapy organization, is seeking to expand our office-based team. At BDS. we help our clients and their families build communities for success. We do this while teaching our clients the skills that they need to be more independent and self-sufficient people. We are creative in our thinking and make learning fun for our clients. Our staff members are dependable, caring people who have united in a common purpose. We believe that everyone can learn and reach their fullest potential. It is hoped that our candidate for the Office/Personal Assistant position will believe the same. The ideal candidate for the Office/Personal Assistant position will be able to adapt quickly to the changing needs of the organization and our staff members. You must have a background in customer services, business management or office management. While we would prefer someone with experience, we are willing to train the right person. All applications must pass a state and federal background check. To apply for this position, you will need to send a full application package to our office. The full Applicant Package should be submitted together. We will not accept incomplete packets. Package must be postmarked by September 24, 2016. A cover letter expressing interest in the position and addressing any office experience that you have. Additionally, please let us know what makes your different from other potential candidates. Your full resume accounting for all jobs in the last 5 years. If there are any gaps in employment, explain them. Make sure you list educational degrees and certifications. A fully completed, originally signed application. You can visit this link http://bit.ly/2aA67H5 to obtain and print a copy of our current application. You will also need to distribute our Reference Forms for submission. Please distribute these to professional references only. Professional references include your current or former teachers/professors, colleagues, supervisors, or employers. You can visit http://bit.ly/1nFdSA4 obtain the Reference Form. You need to submit 3 professional references. Application Packages will only be accepted by mail. A review of all submitted packages will be completed by October 1, 2016. Only those being considered for the position will be contacted by October 8, 2016. •The materials that you submit with you application will not be returned. •Satisfactory reference, state and FBI background checks are necessary for any position. •You must complete all BDS trainings. •You must have reliable transportation. •Partial Applicant Packages will be immediately rejected. Please direct questions concerning this position to our Human Resources Department.